Dr Katherine McFarlane (BA LLB Grad Dip Legal Practice, PhD) is a Senior Lecturer and Deputy Director of the Centre for Law and Justice at Charles Sturt University (CSU). 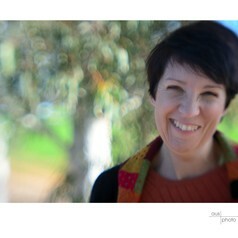 Dr McFarlane is the chief investigator in a Criminology Research Council funded-project, where with her CSU colleagues in Law, Justice Studies and Psychology, she is examining the views of residential care workers, police, magistrates and other frontline professionals regarding children in care's involvement in the justice system. This builds on her doctoral research into ‘Care-criminalisation’: the involvement of children in out of home care in the NSW criminal justice system’. She has previously held a variety of policy roles in bureaucracy, academia and politics, including as a senior policy officer in the Attorney Generals’ Department, Executive Officer of the NSW Sentencing Council and Executive Officer of the NSW Children’s Court. Between 2011 - 2015 she was Chief of Staff to a NSW Minister across numerous portfolios. Dr McFarlane has provided research reports and policy advice to a range of NSW government agencies, including the Department for Women, Family and Community Services, CorrectionsHealth and the Department of Justice. She is a current member of the NSW Corrective Services' Women’s Advisory Council.